Credit cards all over the world are now choice of the people over the old cash system. They prefer to pay using the cards at different stores in the country. They can easily pick a card for them because of the large number of options they have in the market. 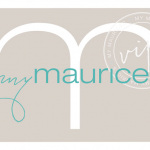 These cards are designed for specific shopper by keeping in mind all of their needs and what is best suited for them. Even then the decision is very important one and before selecting a card you need to check what all benefits and features it has. A card which you think is perfect may not be that much feasible for another person due to the different shopping choices. 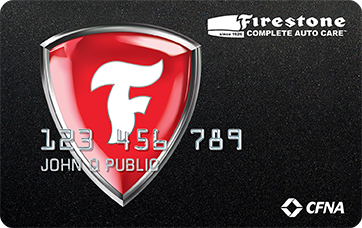 Today we are going to talk about Firestone credit card which gives complete auto card as well. This card these days is mostly known for the services it provides to the automobile customers in the country. They finance the automobile tires and services centers as well. The firestone is actually a tire and rubber company in the world which provides tires to different vehicles in the world. Now they are into larger scenarios giving car detailing services all over the country which includes complete maintenance of your vehicle. The services they provide include oil changes, tires and brake repairs etc. Looking at the long history of the company it is liked mostly by the drivers of all types because they have more than 1700 locations around the country where these drivers can avail their services. When the drivers see that repairmen of their vehicle exceeds the limit of their wallet they go for the firestone credit card and get the special financing offers from the company. This helps them become the part of the race once again. 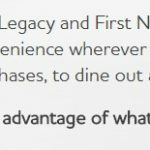 The card is issued by first national association and they also offer special coupons and financing terms as well to the customers. The coupons are given to the customers on monthly basis. The card is offering awesome features but some members may not be that much happy from it. They may find other cards which offer good balance transfer options to the people. Some of the details of the card are shared below, have a look at them and see whether it suits you or not. You can easily make purchases with the firestone credit card and no need to pay any interest on the purchases made from the card. Pay all of your dues within the first six months of the purchase and no interest will be charged from you. For these promotions to apply on the APR of the card the purchases must exceed the limit of $299. However if you are unable to pay the dues within the six months than a standard APR of 22.8 percent will be applicable. To avail the promotion of the company all you need is to pay your dues within the six months of the purchase and stay away from any type of interests and APRs. As a credit card holder of the company you will receive many monthly offers from the company as well which includes different type of coupons and other offers which you can use at the firestone locations all over the country. Special assistance is provided to the customers for their vehicles and you can drive throughout the country for the business tours. The complete maintenance history of your vehicle is also maintained at the firestone stores. 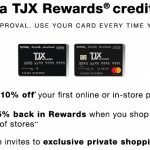 They not only provide special monthly offers to the customer rather the customers don’t have to pay any annual fee for the credit card. If you are choosing this card then you need to keep this thing in your mind that no special rewards are given to the customers. 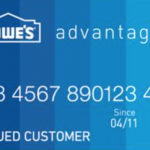 The card is rather known in the market for no APR charges. Monthly coupons are given which you can use on the stores for saving money and car repairmen’s as well. however as we mentioned above as well the purchases below $299 do not qualify for this special offer of the company and had to pay the interest rates. 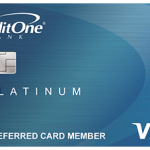 When it come the repairmen of the car or other detailing of the card this credit card is best for you. Nobody wish to pay high charges for the service of the car. Especially if you are looking to replace all the four tires of the vehicle the firestone credit card will help you for sure. 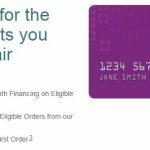 The best feature of the card is no doubt that of the no APR charges for the customers making a purchase of more than $299. All you need is to pay the balance within the next six months and you don’t have to worry about extra charges or interest rates. If the payment remains pending for more than six months than the standard rates of the card will be applicable for your purchase. 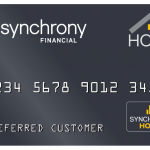 Create a good payment plan and go for this card and save a lot of money at once. Change all the tires of your card and have complete auto maintenance as well if you think you can pay back to the company on time. This offer is worthy for all the customers. If you are not sure about your payback time then you should look for some other card. 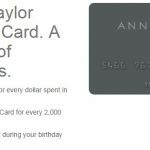 Apart from this interest rate feature of the card there are no other special benefits offered by the card. You are not given any cash back or points which can be later redeemed for shopping. The discounts are given for the oil changes and other car detailing services as well like tire rotations. If you are looking to make big purchases and have a good credit history as well, this is a suitable card for you and you can easily avail it as well. Having the card also has some awesome benefits. As you need to pay the charges on time you credit score will also increase and the best part is there is no annual charge for this card. All you need is to pay on time to them and everything will be fine for you. The ratings of the card in the market are not quite good due to the reason that they provide no cash back or rewards to the customers. The APR is not an issue for most of the customers because if they pay their balances on time to the company. Even then the 22.8% APR is not feasible looking at the card which is not in competition with other major stakeholders in the market. We can say in short that if you are not looking to avail the no interest feature of the card don’t carry any balance on it because that can become quite expensive for you. 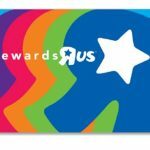 One thing about them is sure that they are not offering any special rewards or offers to the customers but on the other hand they do give monthly coupons to the customers who are used as covering points for the rewards and offers of other cards. Even when you are not willing to use the card keep your account open as they are not going to charge any annual fee for the firestone credit card. The financing offer of the card is more than enough if you look to avail it. No interest rate on all the purchases over $299 is something worth going for. The requirements for the card are not difficult at all. All you need is to apply for the card and you have pretty good chances of approval even if your credit score is not very good. All you need is to provide some simple personal information to the company and your transaction and credit history of the last year. The information must be true at all costs. The company will review the information provided by you and then issue you firestone credit card. The credit requirements of the card are quite flexible to use and you can easily apply for it even if you are recently bankrupt. You can submit an application to the company by visiting their store physically or using their online resource as well. 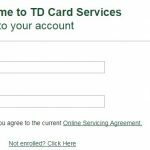 after applying for the card the chances are that you will be approved by the company as people with low credit and even bankrupt are approved by the company. They will provide you the entire log in details which can be used to access the online resource of the company. The online resource of the company had all the details about your account. You can easily change and edit the information as well using the log in details of the card. You can check the APR and other interests you need to pay to the company from this log in resource. All other news about the monthly coupons and offers by the company are also given here in the account. You can check complete details and in short keep an eye on the complete activity of your account. All the details of your recent maintenance of your vehicle are also stored in the account. 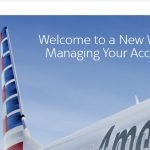 This account is given to you for the easy management of your account and has a good idea about what all you have done using the credit card by the company. The payment schedules of the company are quite simple and they are known in the market for no interest charges options. 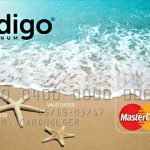 The card will let you pay for all your dues and if they are exceeding the limit of $299 and you pay it back within the next six months there won’t be any interest rate on it. The card however cannot be used all over the country. You can only use this card on the stores of the firestone in the country. 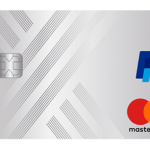 If you are looking for some card to use anywhere in the world look for some other master card of any other company because this credit card will limit you to the stores of the firestone only. There are many problems reported in the payments of the card which shows that the need of the customer care is even more. There are many ways which can be used to contact the customer care of the company. They will give you a positive response that too very timely and try their best to solve your problem immediately. The first option through which you can contact them is the phone number of the credit card. The numbers are open for the customers during the working hours and you can easily contact them. You can contact them from Monday to Friday during 8 AM to 9 PM using the Eastern times. They are also available for the service on Saturday from 9 AM to 5 PM Eastern time. The credit card is also providing interactive voice response to the people. you can use this service of the company during the whole week and 24 hours. Using the interactive resource service of the company you can check the account information from them. The information like account balance and the available credit can easily be checked using the voice response service of the company. Firestone credit card also provides you with the chat service. All you need is to select the subject which you want to discuss and they start chatting with them. They will forward your query if needed otherwise answer them during the chat. You need to keep in mind the chat hours and make sure that they are available for the chat when you are trying to contact them. The chat timings from Monday to Friday are from 8 AM to 10 PM EDT. If you are looking to get answer of some query during the weekend then you need to chat with them from 8 AM to 6 PM EDT. The respondents on the chat services of the company will assist you in all the possible ways and make sure that your problems are solved timely. You can ask them any question related to the payment of the card or any other difficulty in the service. You can also send an email to the company and ask for the solution of your problem. All you need is to select the reason for contacting them and then send your problem to them. They will response back to your email as soon as possible. The average response time for the email is from 1 to 3 business days. You can also write to the company using the mail service of the company. Write your problem and then send it to the mail address of the company. The problem can be of any type like you are facing some issue in the payment or any other service issue from the stores of the company which are located all over the country. Looking at the long experience of the company in the market they are good choice if you are looking to get good deals for your vehicle. The products of the company for sure are great to use and positively reviewed in the market however the credit card was not able to receive such good remarks from the customers. There are many complaints about the payments are something which the company needs to think and provide user friendly system to the customers. If things like this are not reviewed by the company the drivers who the major portion of their customers have many other options as well which they will use for the oil change and other services. The card indeed is not a universal one but you can consider looking at some specific needs. 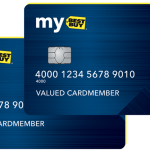 Especially if you are looking to have complete service, detailing or tire change of your vehicle and your wallet is not supporting you then this card is a good option. You can easily apply for it and obtain it with a low credit as well. The best thing which makes it unique among all such cards is that there is no interest on the card for the purchase of $299. The only thing you need to do is payback on time to them and you can easily carry out big purchases using the firestone credit card. Would you use this card for the car service and tire change? If no which other card in your opinion is the best alternative to it? Do share your view in the comments below. 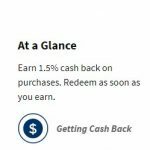 This entry was posted in Credit Card Review on January 10, 2019 by Credit Card Researcher.